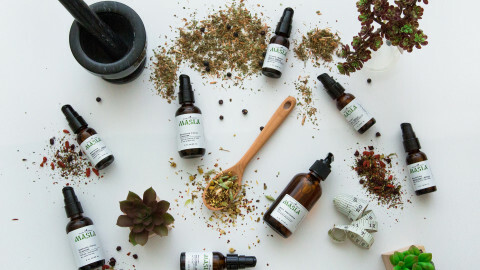 When Marzena Hallam launched Emoly Natural Skincare, she saw the fulfillment of a career path she’d never imagined taking. Marzena enrolled on our Diploma in Organic Skincare Formulation with a view to helping her own family resolve some skincare issues. She never dreamed at the start that it would lead to a business. Already in a thriving career, a move into skincare still presented its challenges; not least in handling social media. Marzena’s story is inspiration for anyone feeling overwhelm at the idea of taking a step into business or feeling they face the impossible when it comes to being visible on social media. Hi Marzena, tell us how you got in natural, organic beauty. I’m a Polish-Australian, who has been living in Qatar for the last eight years. I’m married to my best friend and we have two wonderful children. I completed a business degree and then chased my career in business analysis and project management. In my late twenties, I established a trading business; importing, online selling, B2B consulting services and supporting the SME market in terms of turning great business ideas into effective businesses. Besides being an organic skincare formulator and business owner, I’m also an artist (painting is my second passion), a writer (I’m currently writing a book and media articles about healthy skincare habits), trainer (running informative and practical workshops) and studying (a Diploma in Life Coaching). You can say I like to keep active! My love of and involvement in the natural and organic beauty fields were triggered by two factors: my upbringing – my mum relied heavily on natural remedies when raising me; and my desire to help people – that was instilled in me by my local GP, who encouraged me to become a doctor. 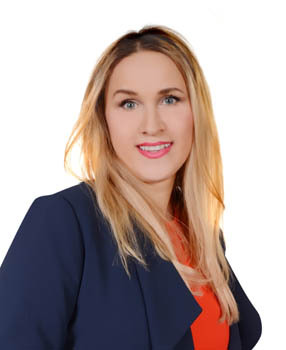 Although I did not pursue a medical career, I have now found a way of helping people with their skin issues through the use of apposite natural skincare ingredients as well as sharing my knowledge on, among other aspects: skin function(s); correct skincare routines; and natural ingredients. I’ve always believed that Mother Nature provides all we need to bring out the natural beauty in every one of us. These newly-discovered passions are so fulfilling. Through my organic skincare business, I’m meeting loads wonderful ladies and they give me so much motivation, satisfaction, confidence and joy. Tell us about the Emoly brand and its products. Emoly was established in July 2017. It is an Australian-registered company that is currently focusing on the Qatar market. At Emoly, we combine the best of nature and research by creating skincare products that improve appearance and protect the skin with only the finest ingredients. Our goal is to keep clients’ skin looking healthy, radiant, and naturally beautiful. 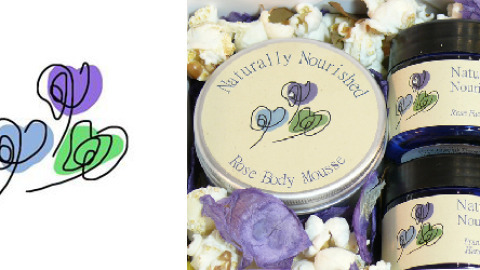 Our products are: 100% organic, high quality, simple, gentle and for everyone. We source only certified organic ingredients that come from all over the world. 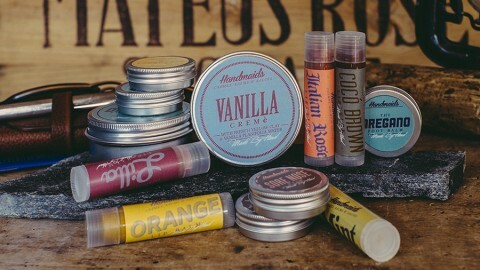 Our suppliers are aligned with our philosophy of cruelty free, vegan and pure organic principles. We have now developed a full range of ready-made products that are all about ‘less is more’. By this I mean that they draw maximum benefit from a few core natural ingredients. These natural ingredients are tailored to provide the most benefit for each particular condition. We focus on quality not quantity. While we do have a separate range of formulated skincare products for general consumption, we also do a lot of case work for individual clientele. We assess each client’s specific skin condition individually, carefully examining suitable ingredients to formulate super effective bespoke solutions. 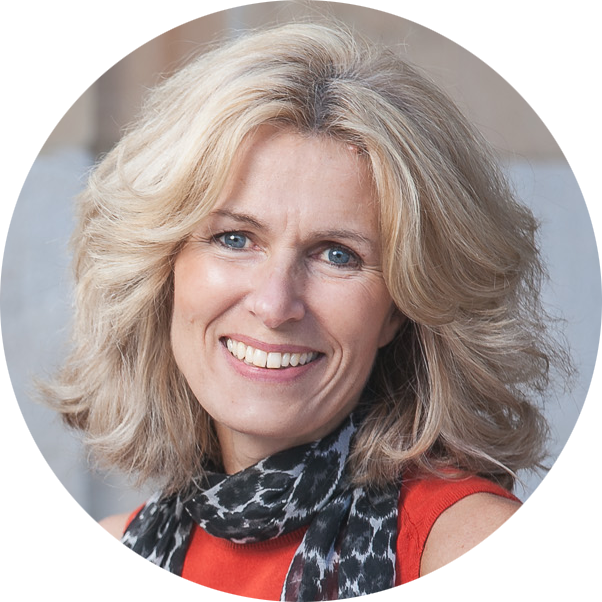 I have found this to be the most enjoyable part of the process as I have been able to work together with people to resolve their long-term skin issues, share my knowledge and be able to get the more direct positive feedback. This is what really motivates me to continue my journey. Emoly as a company, actively participates in supporting women when it comes to the correct skincare habits and natural skincare entrepreneurs to grow their new organic skincare businesses. 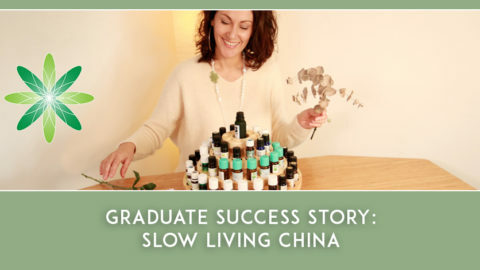 This is done through consulting sessions on a one-to-one basis as well as practical workshops, where participants learn the art of making effective natural products, the principles of essential oils blending and so on, and how to combine all of these with the correct business management practices. Tell us how you embraced social media despite your fears. Previously, I would prefer to hide behind the curtain of social media, emails, articles or a small audience, as I didn’t have the confidence to face larger crowds. Whenever I was invited to speak at conferences, networking sessions or universities, I would come up with hundreds of excuses to stay home and then feel a sense of regret. I would check the clock while the event was underway, thinking that I should be there…. 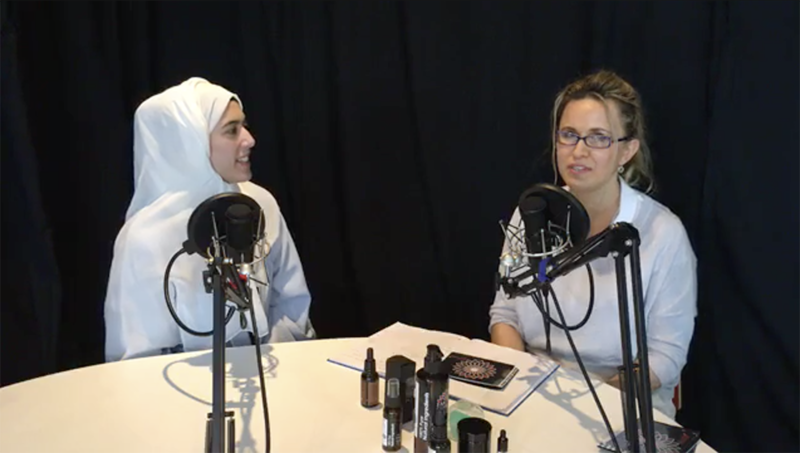 But recently, when I was invited to be a guest on a national community podcast to talk about motivating people to use natural skincare, educating them about skin functions and sharing some beauty tips, I said to myself: “This is it… this time you cannot hide”. I did the podcast and while initially I was terrified and probably didn’t do as well as I would have liked, I had finally overcome my biggest fear. The experience ‘gave me wings’. I literally felt the fear bubble pop. Once I’d finished and I’d had such a great response (people were calling me, messaging me, congratulating, ‘liking’ on Facebook and generally so supportive) that I wanted to do it again. I also realised that we all are very similar and there is much more to achieve ‘together’. Mutual support is so empowering and motivating. Also, I can promise you, now looking back there really wasn’t anything to fear except FEAR itself and my own self-criticism. This podcast also changed Emoly’s business model to some extent. Previously it was all about natural skincare products and the benefits they offer, whereas now it has grown in conjunction with motivating others, sharing the knowledge and experience. This new me is looking forward to the next conference, presentation or workshop! One of the things that really touched us about a post at Formula Botanica HQ was that you said ‘we are all here to support each other’ and you made reference to the great community of students and graduates at Formula Botanica. How has our community helped you grow as a business owner? One of the great intangible benefits of Formula Botanica is that it offers its students access to like-minded people. I drew lots of my energy and motivation from this community. I truly credit its help in getting to where I am now. There are numerous reasons for this. I really admire the way so many members gladly share both their successes and failures. Also, being an entrepreneur can be lonely and daunting at times and we can all too often focus on the negative aspects of people’s opinions or even our own internal conflicts. But having that social back-up of the Formula Botanica community has made a huge difference to me. To give examples: I found purchasing equipment to be a bit time consuming as I was researching all over the internet and I found the choice and options overwhelming. So, I posted questions in the Formula Botanica group, and through the community’s answers I was able to confidently purchase the correct tools. Also, I used a lot of the marketing strategies I was able to glean from the Formula Botanica expert webinars. These are the more tangible examples. But, just knowing that there are other members out there going through the same issues helped me enormously this, coupled with the fact that I saw other members’ successes, gave me the confidence and the motivation to keep going with my journey. Formula Botanica programmes are set up in such a way that one has really no excuse not to get stuck in, aim high and be successful. I’d say just go and try, test, learn and ask for help wherever needed, and repeat until you get it. There is always someone there who’s willing to help – including me! Which of our courses did you take and how did it help you in business? I completed the Diploma in Organic Skincare Formulation. It was my ‘spring board’; the beginning of a new chapter. 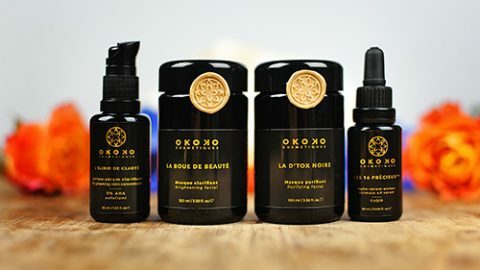 I did not have any experience in, nor much knowledge of organic skincare, but at that time felt it was my only hope to help skin issues within my family. So actually, originally, I was looking more for solutions than a diploma. But in the process I found a new passion. The course also gave me a new mindset; I’m continually hungry for more information, more ideas, new ingredients, innovative marketing or logistics’ solutions. It’s been almost a year since I completed my diploma and I still go back to my study material and Formula Botanica sites or Facebook pages for resources. I really feel like I’m a part of this community that shares the same interests. Finally, what does the future hold for Emoly? 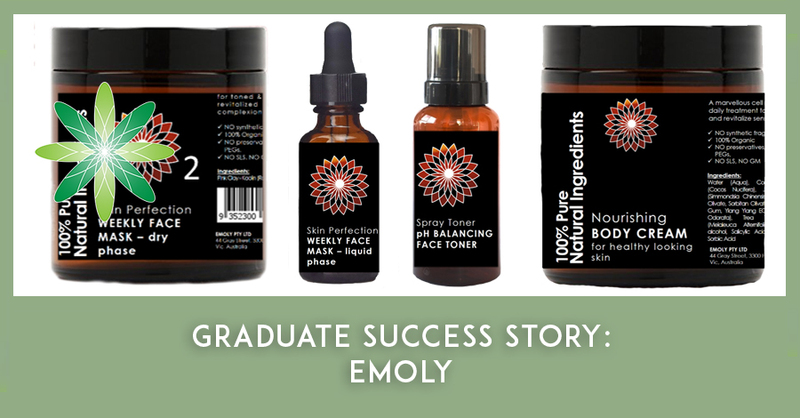 Our long-term vision is to see the Emoly brand internationally recognised and its business approach to be known and labeled as experts in the field of natural skincare formulation. To do this we will maintain our approach of considering clients as individuals not crowds and use this to drive our product ranges. In terms of the next one to three years, we really want to concentrate on building Emoly’s online presence through our wide range of specialty products. This will be done through a range of online and SEO strategies as well as through increasing our educational content footprint on numerous platforms. This will grow clients’ confidence in our brand and drive their interest in our product range. Over the next 6-12 months Emoly’s product range will expand with more focus on cross-selling and up-selling with one ‘showcase’ product in each category. Customers will be able to buy plenty of products with a core of active ingredients offering lots of healthy, long-term benefits. We will also continue to run numerous workshops to raise awareness locally in both our product range but also the natural skincare industry, as we continue to leverage off our first-mover advantage in our domestic market, Qatar. Our focus on educating the end user is our priority and we support this aim with continuous research, study and in training our staff. I also aim to finish the book I am currently writing. So we have loads of things to do, but we are super excited about what the future holds and can’t wait to continue to execute on our overall strategies. I personally want to thank Formula Botanica. My life has really gone from strength to strength since I completed my diploma and I honestly have never been happier, and for that I am truly grateful. 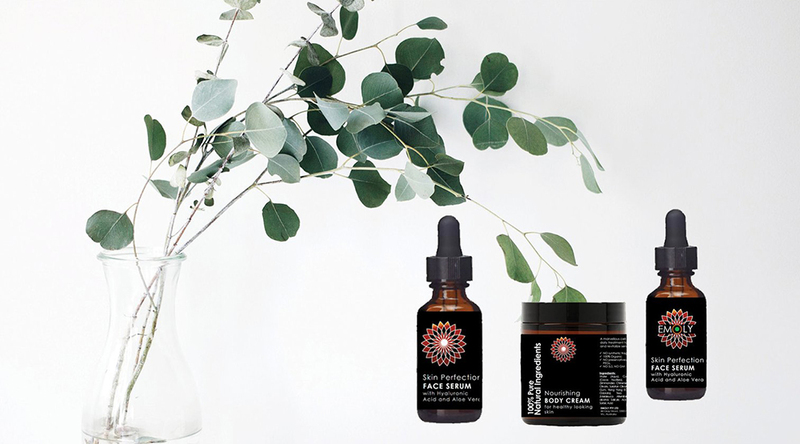 If you would like to follow in Marzena’s footsteps and start a new career or sideline business with the support of a like-minded community of natural formulators, take our free, organic skincare formulation sample class and you’ll be on the road to starting the organic skincare business of your dreams. 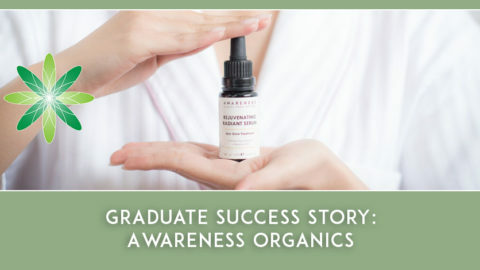 Find out more about the Diploma in Organic Skincare Formulation Marzena opted for or browse one of our many other organic skincare formulation courses.